There are a lot of new products on the market now to help with your bag making, most noticeably foam stabilisers. 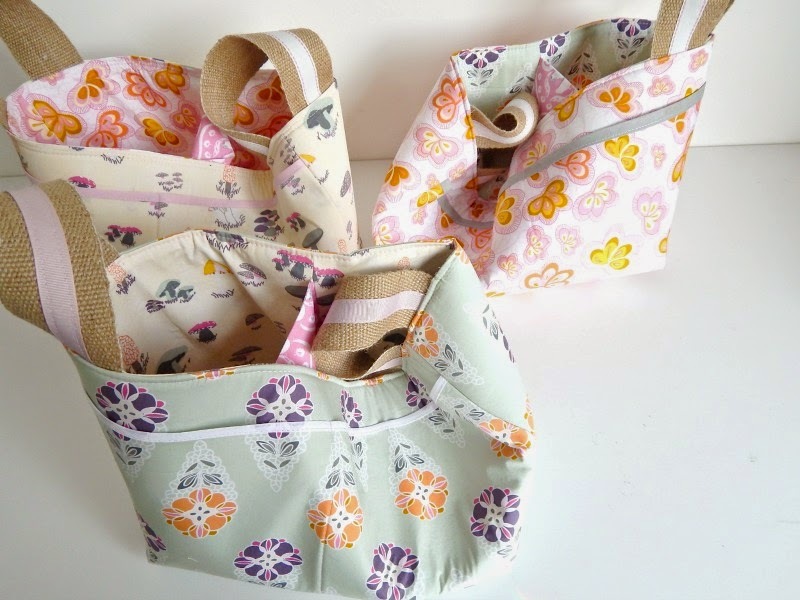 Foam stabilisers are great because they give your handmade bags body, stability and an overall professional finish. 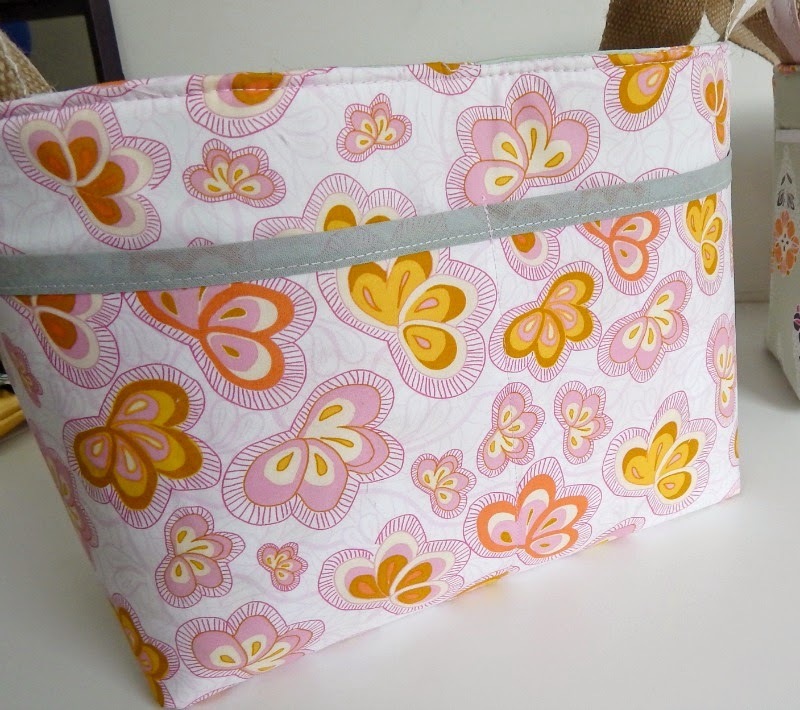 (I use stabilisers for my Saddlebag, Nappy bag and Bookbag Backpack patterns, for example). But what's the difference and which should you choose? I've made a comparison of the top three to try and help you. 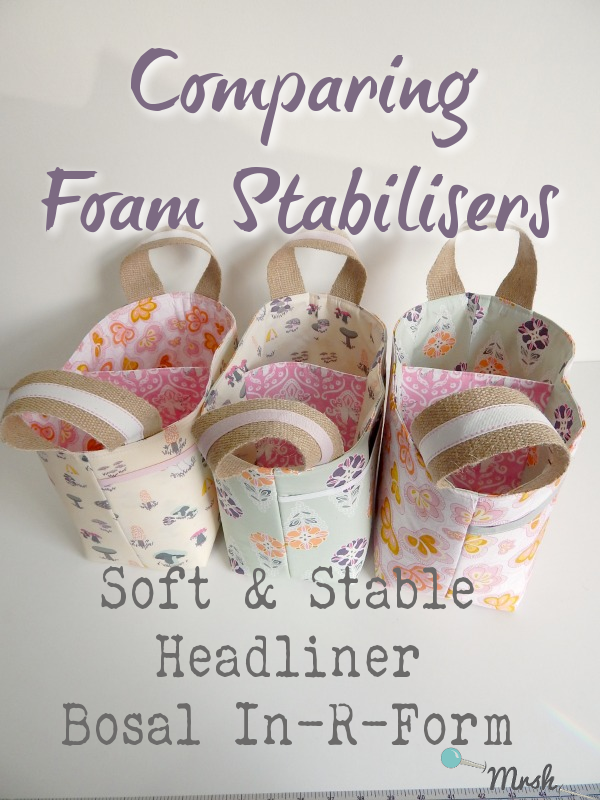 I'll be comparing By Annie's Soft & Stable, Headliner Scrim and Bosal In-R-Form. 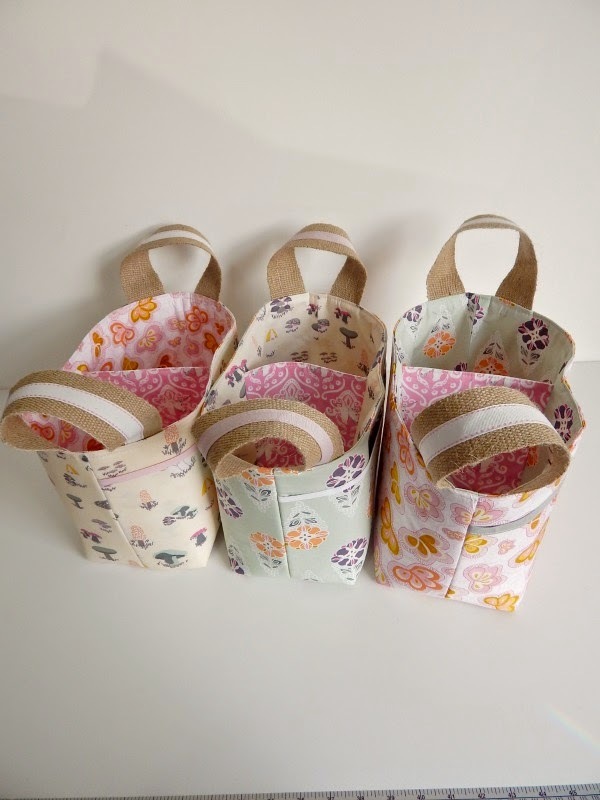 I have not received any compensation or reward for these, however I did receive the fabric from Sara Lawson's new Fantasia Fabric line for Art Gallery Fabrics and chose to use them for this. First up, what are they? 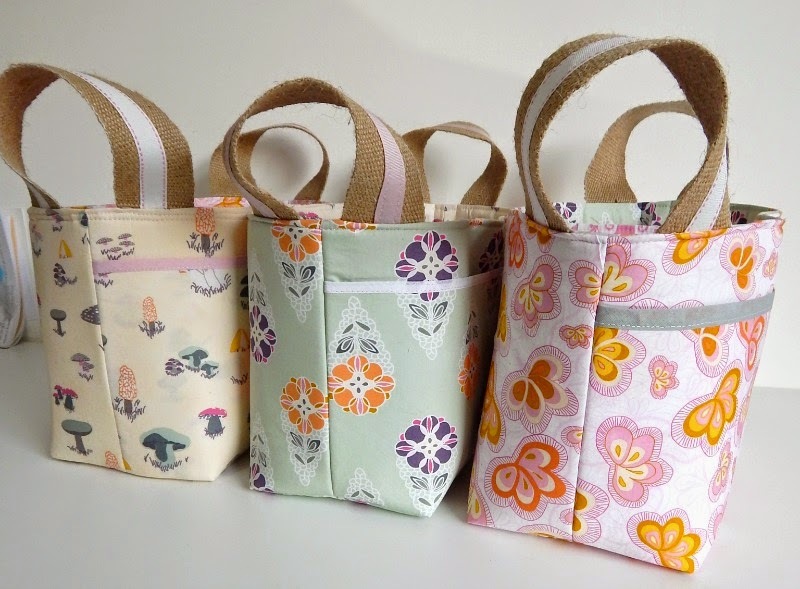 Soft & Stable is a craft foam specially developed for using in bags and craft projects. 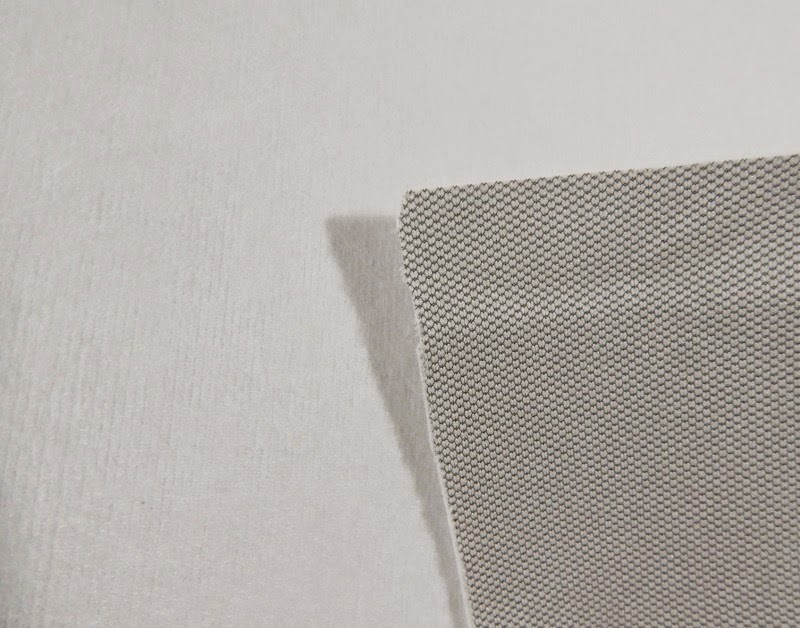 Headliner is the fabric used on the interior ceilings of cars and Bosal In-R-Form is a fusible foam; I've chosen the single sided fusible one, although it is available in double sided. I've worked out the price based on product and shipping & handling. I've attached links to my suppliers on each. 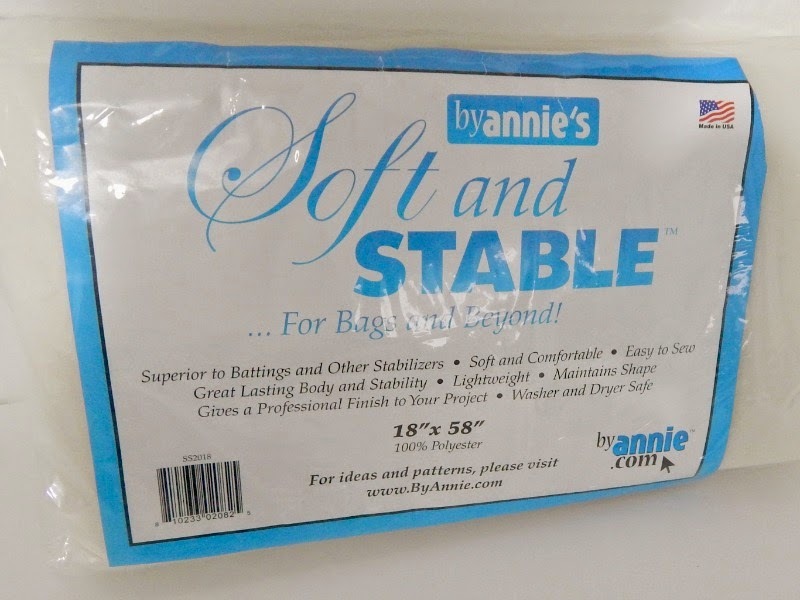 Soft & Stable - £17.20 for 18" x 58"
Bosal - £11.75 for 18" x 58"
Soft & Stable comes folded in a plastic bag with a thick paper insert, there are no instructions for use. 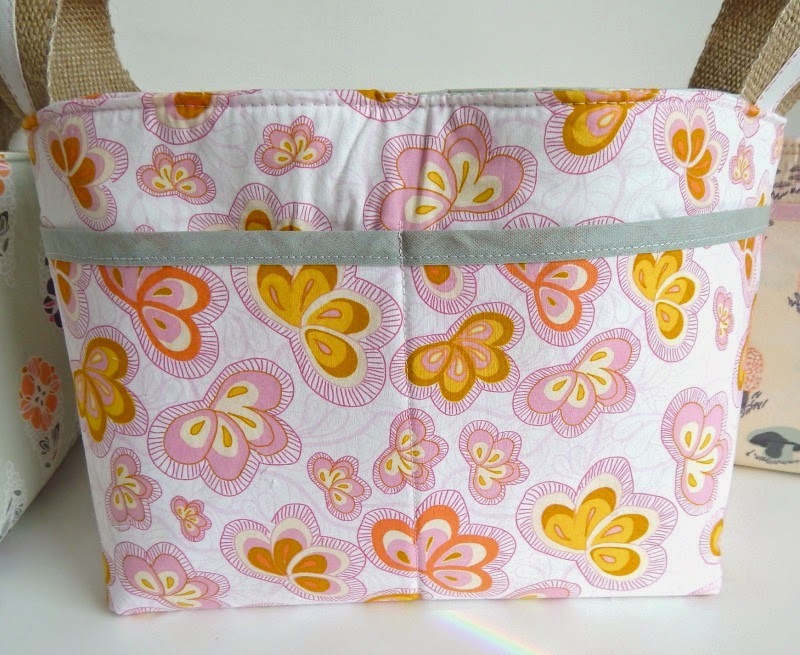 Headliner fabric comes per meter and as such is just folded or rolled with no packaging and no instructions for use. 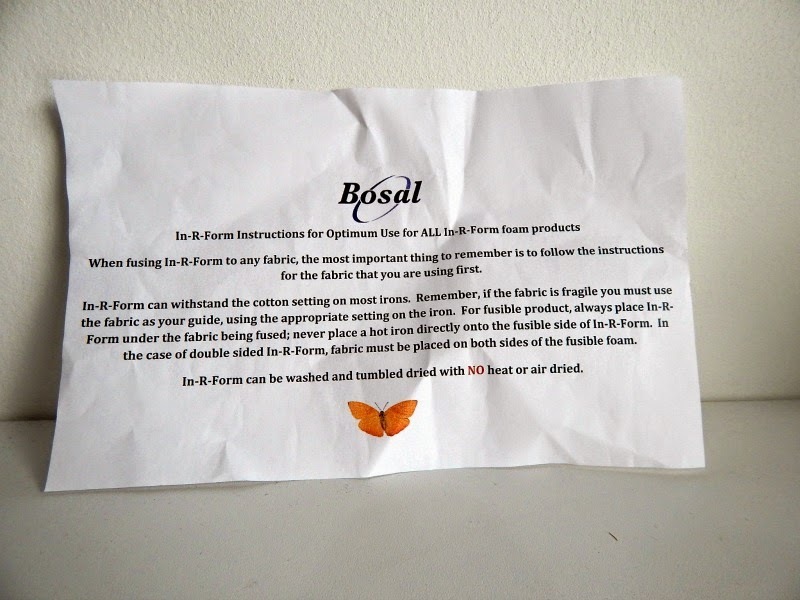 Bosal comes in a plastic bag with a cover sheet and the following instructions. 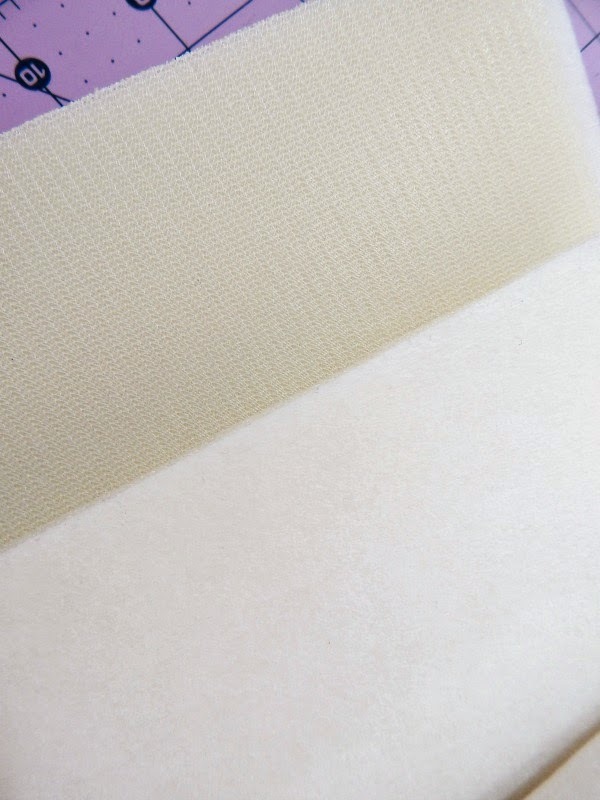 Soft & Stable is a 4mm foam with knitted covering on both sides. There's no visible grainline as the knitted fabric seems to be distorted. Headliner comes either as grey interior fabric backed with 3mm foam, or as pictured below (and cheaper!) 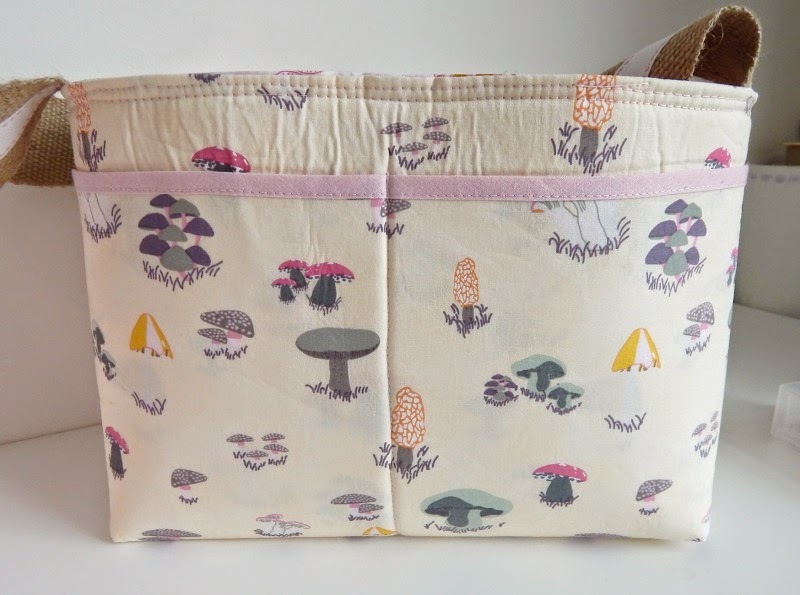 the interior fabric is backed with 2mm foam and then a soft fleecy feeling backing. Bosal Single sided In-R-Form is a 4mm foam with the soft fleecy fabric on one side, and the glue side on the other. It is not sticky until heated. It is worth noting that you should not press directly on the Bosal, wheras the Soft & Stable and Headliner could take a bit of swift ironing if using a medium/cool iron, although you probably shouldn't iron them either. The Bosal foam smelt, there's no two ways about it. It smelt of a horrible chemical burnt plastic smell which got worse as I pressed it. I tried to avoid smelling the steam from pressing. Headliner had a faint 'new car' plastic-y smell, and Soft & Stable had a slight plastic smell to it. There was no scent to the finished baskets. How easy are they to apply? The Bosal was incredibly easy to apply. I cut it 1/2" smaller than the outer fabric (that was the seam allowance for the pattern) and then fused from the right side of the fabric with the Bosal underneath. The Soft & Stable and headliner both required basting so I cut them to the pattern size, basted with a 1/2" seam allowance then trimmed the excess from the seam allowance. I then removed the basting stitches before I did the final topstitching. It was a potch. How stable are they then? The sharpest shape to the basket was produced by Bosal In-R-Form. It had nice sharp corners and the sides stood up straight. The next sharpest was the headliner fabric surprisingly! It too had nice sharp corners and the sides stood up, but lesser than the Bosal. Finally the Soft & Stable had much less sharp corners and the sides sagged outwards slightly. I took photos before and after a final press because they were really quite different and I was disappointed. 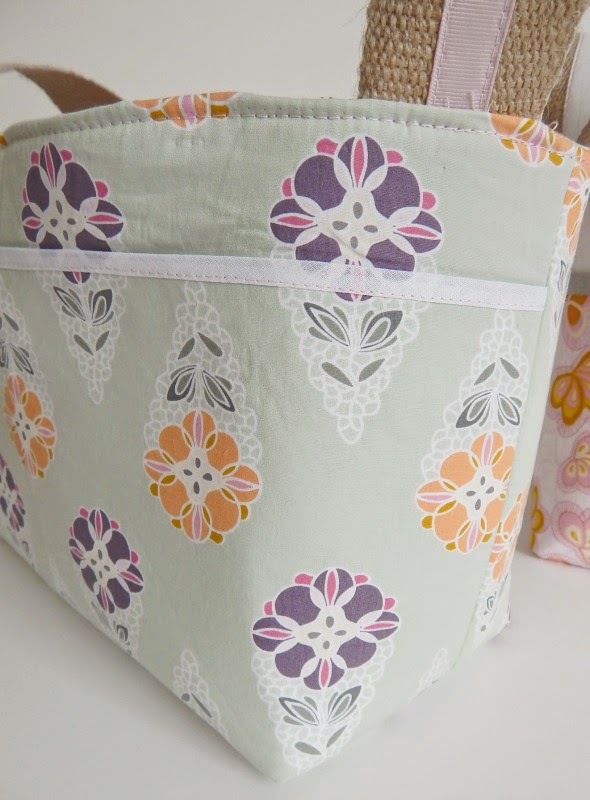 I used Art Gallery cottons which are notoriously soft and luxuriant feeling, but it meant they really needed the extra stability to make this basket. First up is the Bosal. It creased incredibly badly when turning the top under and then pulling it through the machine. It seemed as though whenever it was pressed, the glue melted again and the fabric could shift. Even after a final press some creases remained. Next up is the Headliner. This didn't crease as badly when turning through and unlike the others, didn't fold along the quilted stitch lines. It had a good finish to it and I was generally pleased with it. Finally the Soft & Stable. It didn't crease too badly, but of course a final press did help. I did the squish test too. I pushed down the side of one basket until it held in place and waited to see which would spring back into shape. All three were spring-y and didn't want to stay squished, but the Bosal sprung back far more quickly wheras the Headliner and Soft & Stable were quite happy to stay squished. The main cons for Soft & Stable were that it's not fusible and it's jolly pricey. For the headliner, the only down side I could find was that it's not fusible, I was generally very happy with it, (Especially the price!). Finally for the Bosal I was pleased it was fusible, it was much easier to work with because of that, but the creases just didn't produce a great result and I am disappointed that such pretty fabric should be graced with such creases! 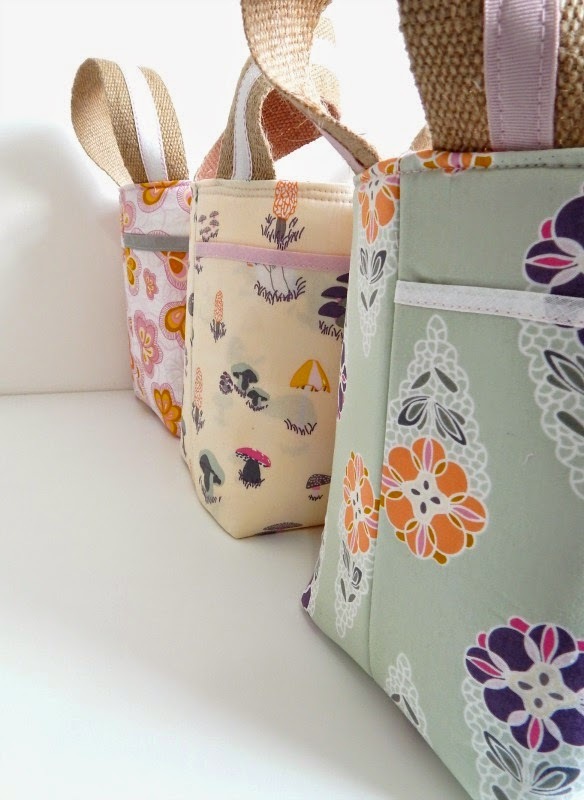 I chose to use these beautiful fabrics sent to me by my good friend Sara from Sew Sweetness. They're from her newest fabric line Fantasia. I couldn't decide between them so I mixed and matched and chose the unicorns for the interior dividers. 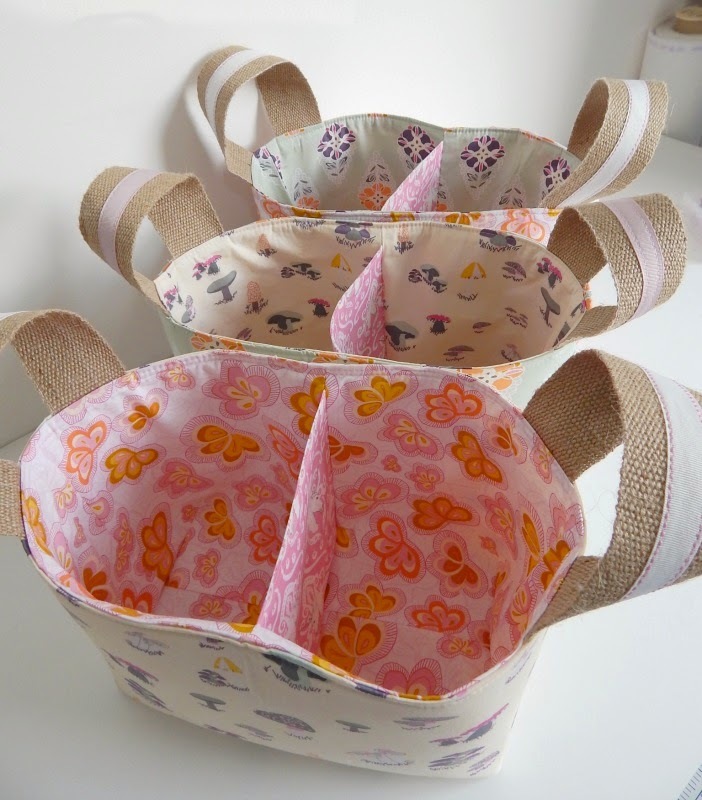 I used the divided basket pattern from Noodlehead which I purchased a couple of months ago, but used upholstery webbing for the handles with ribbons sewn to the middles. I can't tell you which stabiliser to go for, but hopefully my observations will help you to decide. 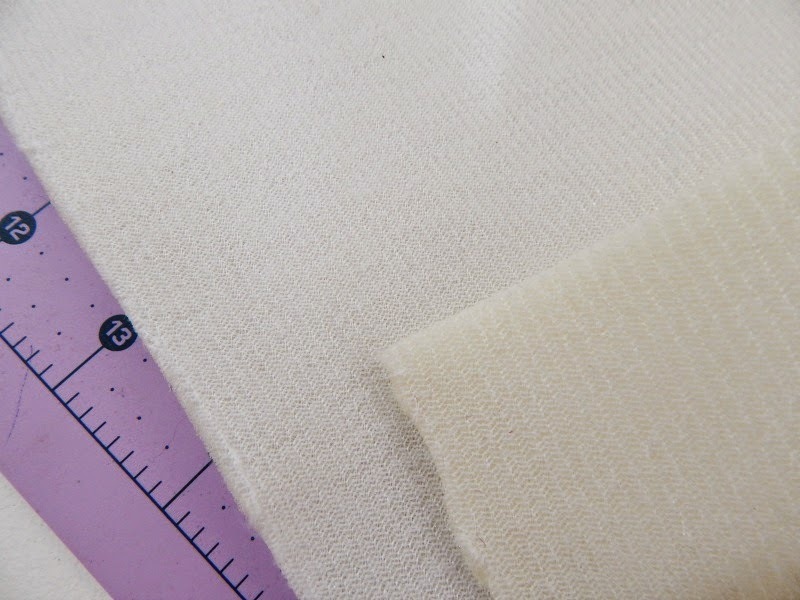 If in doubt, apply a swatch to your outer fabric to see if you like the handle of it first. 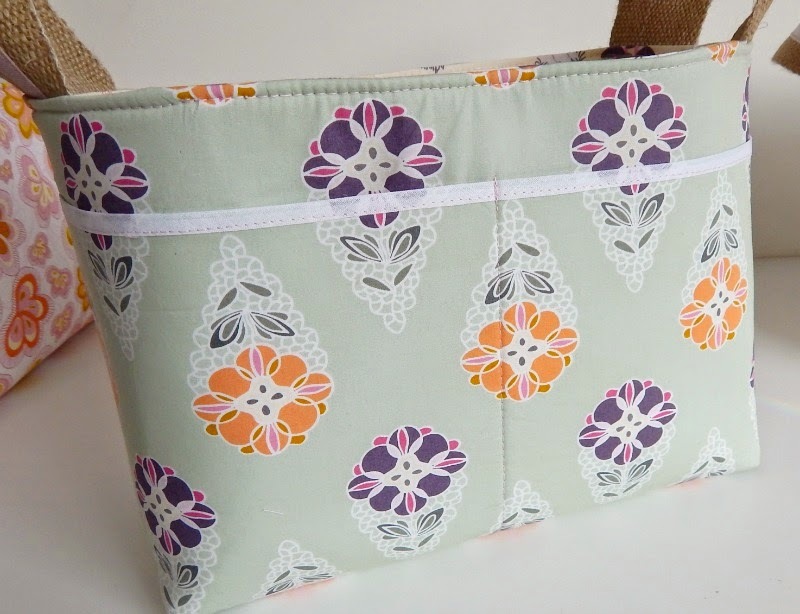 May i ask if you use the sew in ones, how does that stay attached to the fabric in the middle of the outer part of the bag( back and front) if there aren't stitch lines there? 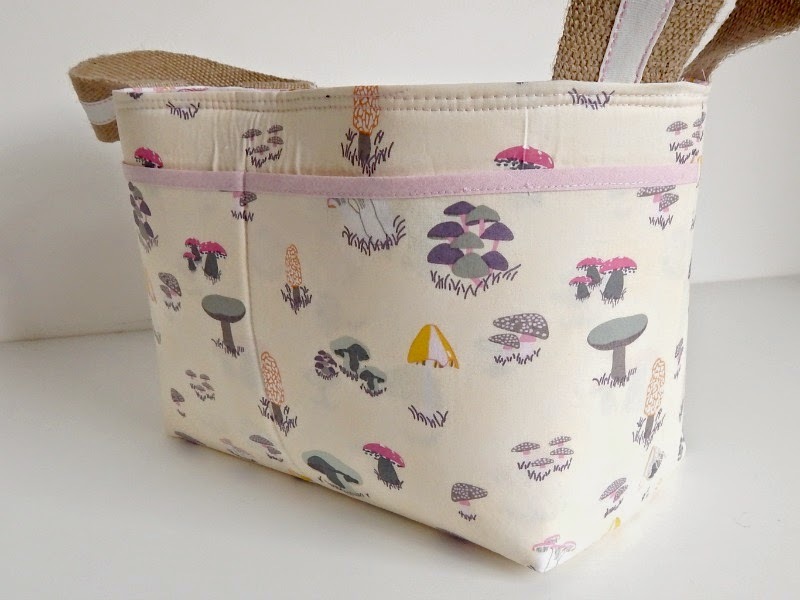 Just trying to print and understand the instructions for the convertible bag, Took a look at the pattern for the Dainty and decided i did not feel grown up enough to try that probably till after the retreat.